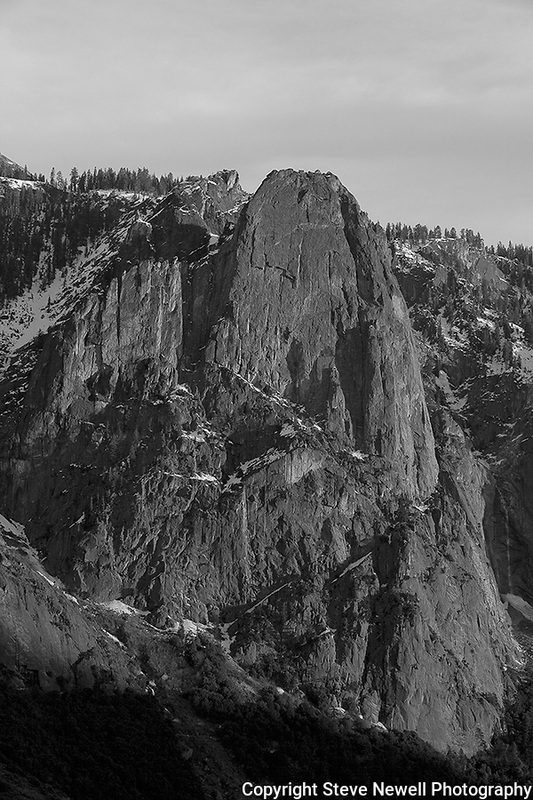 "Sentinel's Sunset" Black and White vertical Yosemite National Park. Sentinel Rock formation located in Yosemite National Park near the Four Mile Trailhead across the valley floor from the big Yosemite Falls Waterfall. The large monolithic rock formations in Yosemite provide some of the best rock climbing and trail hiking in the world. At sunset every single rock formation in the park changes colors as the day goes by and light up at every sunset. The colors of the granite walls are quite spectacular and a must visit for everyone in the world to see in person.